I decided to repost an old post of mine for MLK Jr Day. I wrote this for last year, but I think nothing much has changed in that year for what this says. The only difference now is we celebrate the 31st year of MLK Jr Day, and I’m not still in the middle of the Brian Zahnd book. Today marks the 30th year we celebrate Martin Luther King, Jr. Day. Thirty years of two steps forward, three steps back for the realization of his dream. A dream not just for one people group, but for all human kind. We celebrate today in the midst of an atmosphere gripped by fear and anger. So volatile is the mood of the populace, that the attitudes of hate no longer hide in private conversations or fringe groups. They’ve taken center stage in the vaudeville performance of politics. I find the scariest part of the spectacle that parades in front of the world is the fact that some of the loudest voices fueling the dark mood are those committed to peace at all costs. For, the One we have given our lives to came to change the world’s appetite for violence. He came to turn the world system of “might makes right” and “power at all costs” on its nose. Peace. Everything he did pointed to peace. Peace with our neighbors. Peace with God. We do call Him the Prince of Peace, after all. I’m in the middle of a book right now. A Farewell to Mars by Brian Zahnd. So far, it’s an excellent read. I don’t agree with all of his reasons for his conclusion, but I agree wholeheartedly with the conclusion itself and many of his arguments. It’s a good reminder, to see clearly the Jesus I claim to love and to follow. To see him as he was, apart from my American version of him (or Western version) that seems appointed to prop up nationalism and my personal rights. This isn’t a post to deride anyone in particular, but to remember. I know I’ve forgotten the point of it all. The point that Jesus came to make. The point that the Rev. Martin Luther King, Jr. dedicated his life to reiterate. For all of us. All of us. Can we disable this mood that has gripped us? Can we ever overcome the fear and hatred that steals our peace? Yes. I believe we can. Some day. One day. We will. How are you celebrating MLK Jr Day today? What do you think about his dream? How do you think we’re doing on that? Leave a comment and let me know. Don’t forget about the Compassion book project! 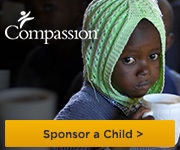 Help me raise funds for Compassion International – who is doing so much good in the world in ways that still amaze me. Send me your stories! Lovely post, Russell. MLK Jr. was an amazing man of faith and his faith was the impetus for the compassion behind every effort. How different the world would be today if those leaders who shout about their faith actually lived by it. Thank you! Yes, he was amazing in his convictions and faith. He had many flaws, and I wonder what other changes in how we view gender roles would have come to pass if he wasn’t so sexist. However, he is a great example of following through with your convictions despite opposition.